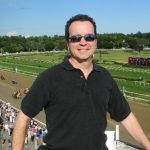 The Meadowlands qualifier has a $400 total fee – $200 goes toward the prize pool, estimated at $20,000 and $200 is used as contest bankroll. All entry fees will be added to the prize pool, creating the rare zero percent takeout contest format. Entry also includes a Daily Racing Program and food vouchers.